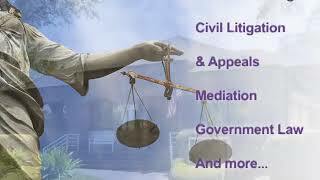 Lawyers.com Find a US Lawyer Florida Panama City Burke, Blue, Hutchison, Walters & Smith P.A. Burke, Blue, Hutchison, Walters & Smith P.A. About Burke, Blue, Hutchison, Walters & Smith P.A. Northwest Florida Business Law Firm with 40 years of providing legal services to businesses and individuals in Panama City. All they did was accept our money and we never saw or talked to them. I have known and worked with Doug for several years. He is always a pleasure to work with and a very competent lawyer. Select case type... Administrative Law Automobile Accidents Banking Law Bankruptcy Civil Litigation Commercial Law Commercial Litigation Condominium Law Construction Law Construction Litigation Contracts Corporate Law Criminal Law Eminent Domain Environmental Law Estate Planning General Practice Government Government Contracts Insurance Litigation Negligence Personal Injury Premises Liability Products Liability Property Damage Property Insurance Property Law Real Estate Trusts and Estates Wills and Probate Zoning, Planning and Land Use Other Case type is required. /g, '>'); srt_output += captionText; }; srt_output += "